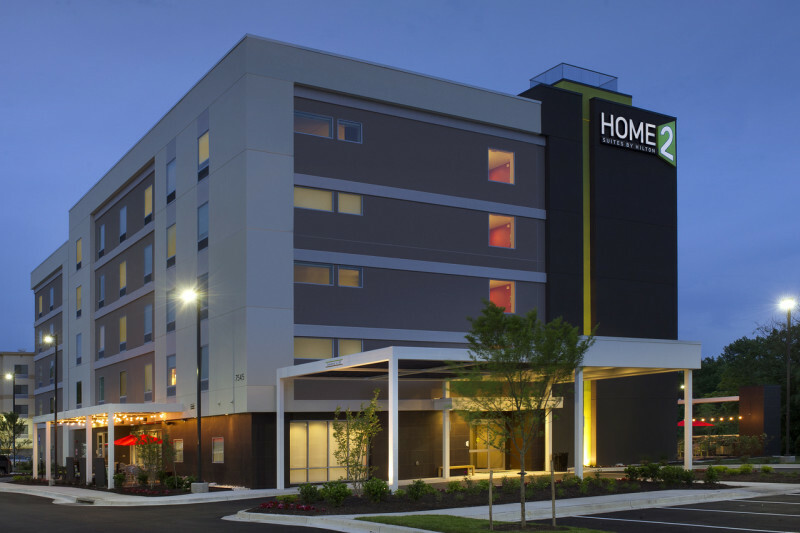 Our new, extended stay Home2 Suites by Hilton Arundel Mills/BWI Airport provides you with a comfortable stay and plenty of amenities when you’re in the Baltimore area. 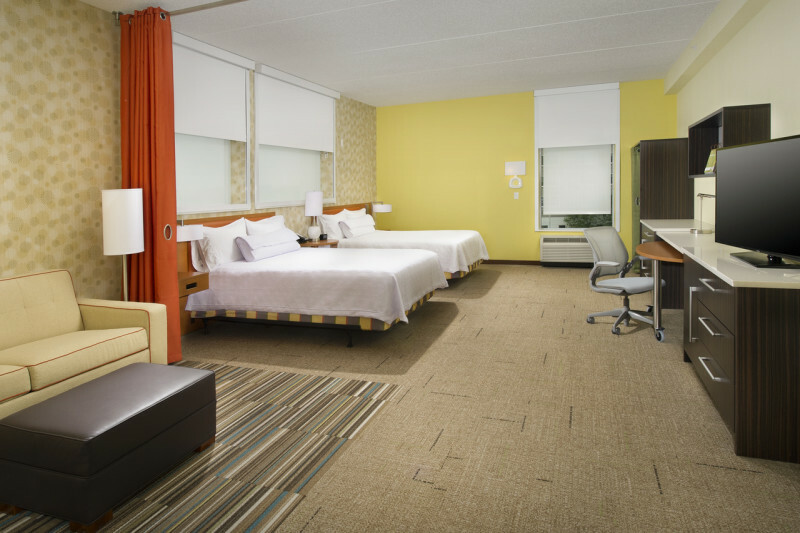 This unique property features spacious suites with flexible layout options, perfect for an extended stay. 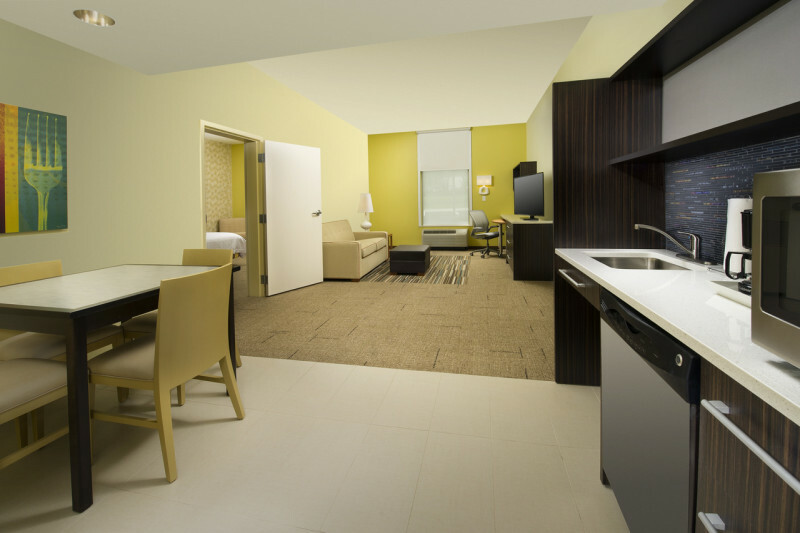 Unwind in a spacious suite with a fully equipped kitchen. 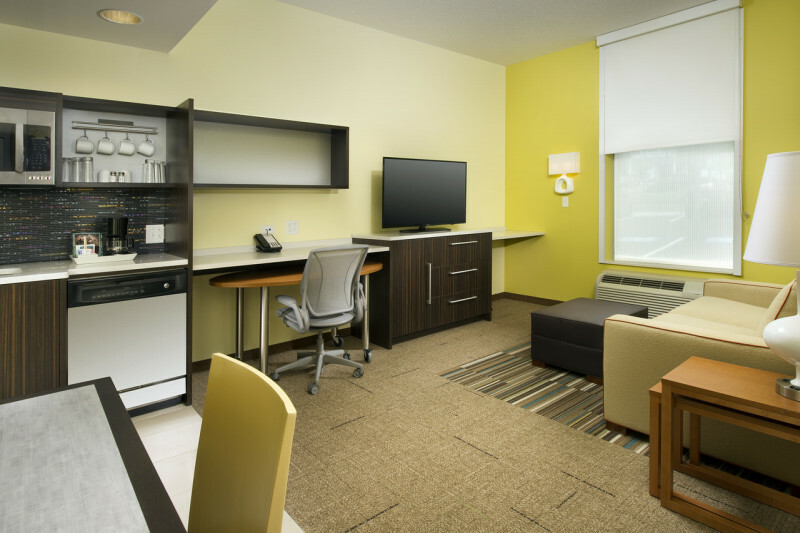 Stay connected with free Wi-Fi, a media hub and the Working Wall, a moveable work/dining table. 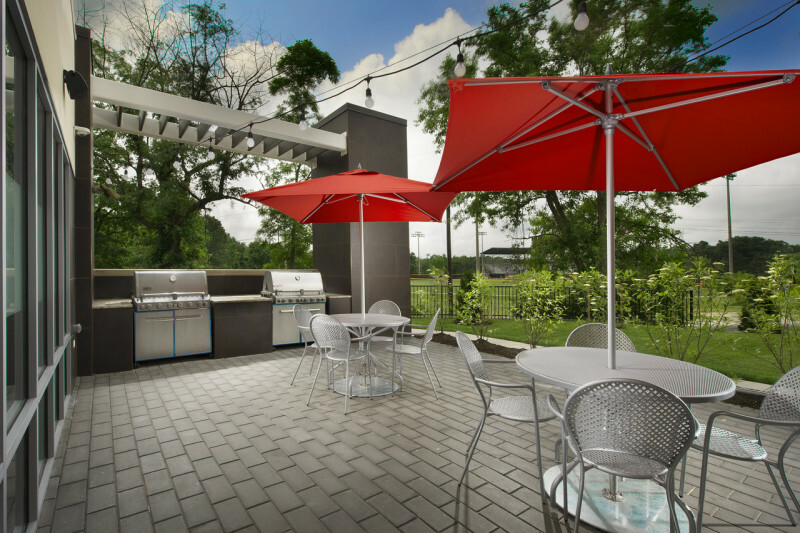 Your full kitchen comes complete with a microwave, refrigerator, dishes and more. 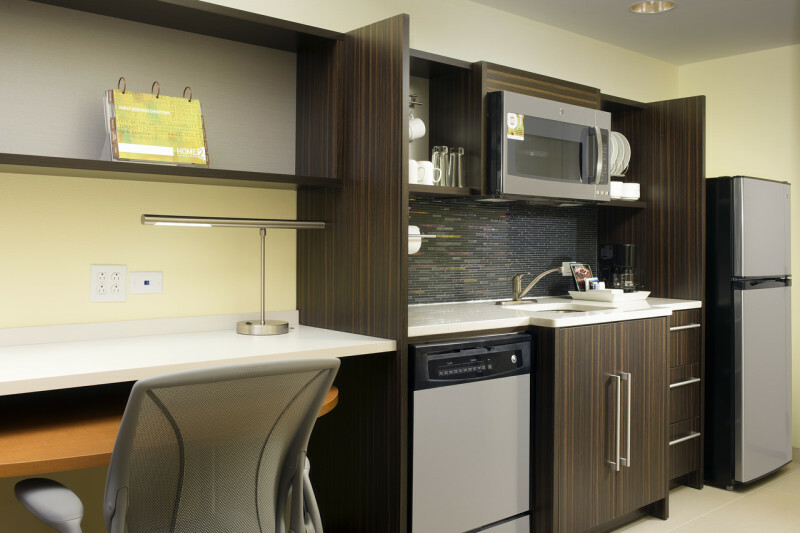 Borrow an induction cooktop from the front desk for even more meal options. Catch up on your favorite shows on the 42-inch HDTV. Bring your pet – they are more than welcome at Home2™. Start your day with the free Inspired Table™ breakfast, including waffles, scrambled eggs, bacon, sausage, fruit and assorted cereals. 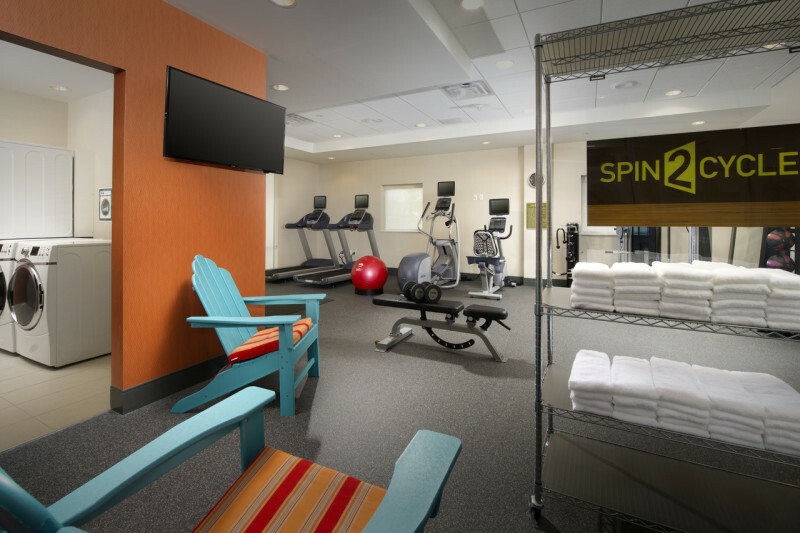 Give multi-tasking new meaning at Spin2 Cycle, where you can run on a treadmill while you run a load of wash. Stop by the 24-hour Home2Mkt convenience shop for a snack or drink. 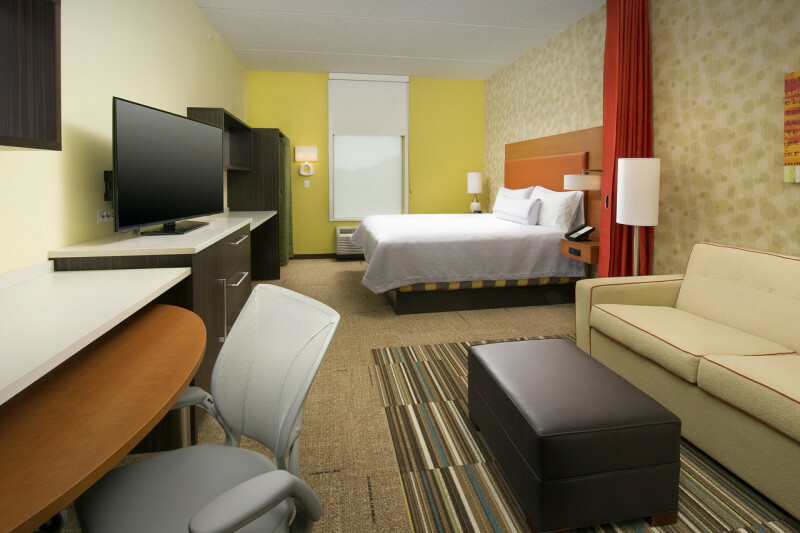 When you need to finish a project, utilize the 24-hour business center with free Wi-Fi and printing. 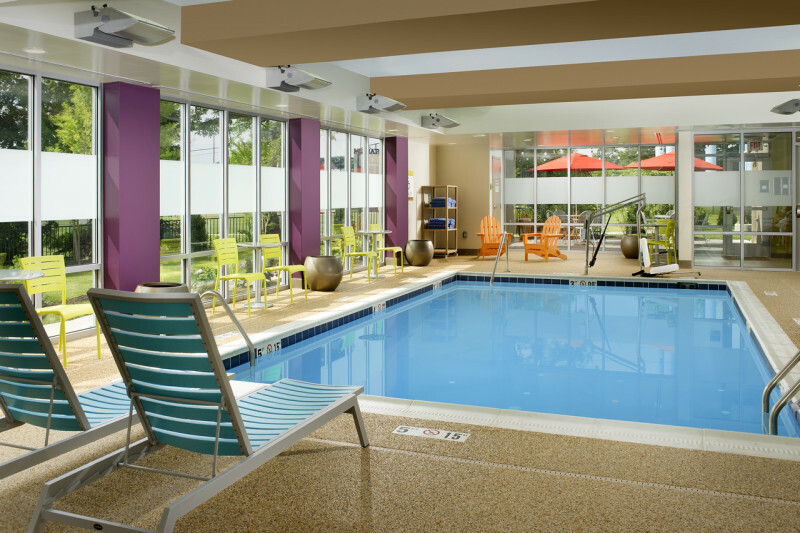 Get in some laps in the heated indoor pool.